If you're like me, you're looking for representation and finding it difficult to obtain. 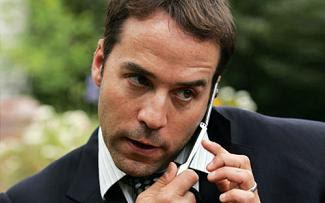 We already know that you won't get an agent by posting on Craigslist, but how does one go about finding their own personal Ari Gold? Event includes a drawing for Movie Magic Screenwriter Software. The second event is also a panel discussion--it's sponsored by Breaking into Hollywood and takes place on Thursday, September 27th. But instead of a panel of agents and managers talking about how to get an agent or manager, this panel consists of represented talent discussing how they GOT their agent or manager. Cost: $10 for BiH members and $20 for non-members. RSVP via the BiH website.